*Nasrullah was a champion from the first crop by unbeaten Nearco. 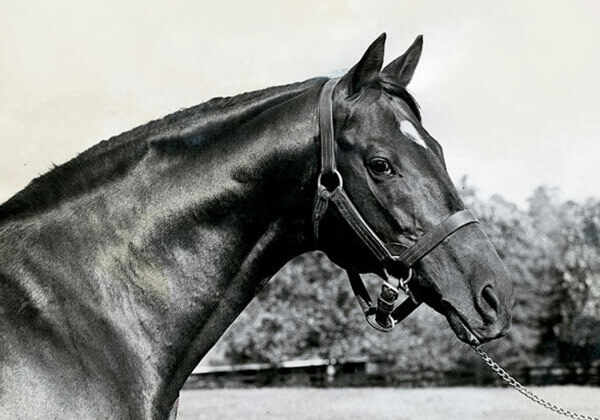 Hancock wanted a son of Nearco and set his sites on *Nasrullah while he was racing. It would take several offers over seven years plus assistance from his father-in-law, Nashville attorney Seth Walker, to finalize the transaction that would bring *Nasrullah to Claiborne in July, 1950, the same year *Nasrullah’s son *Noor defeated champion Citation four times. He quickly became one of the most important sires of the 20th century and helped establish the modern-day dominance of Nearco’s male line. He earned five titles as Leading Sire and his son, Bold Ruler, earned eight. He was a three-time Leading Sire of Juveniles from only nine crops sired at Claiborne. The Hall of Fame has enshrined his sons Bold Ruler, *Noor and Nashua, as well as second-generation offspring, Secretariat and Ruffian. *Nasrullah provided a needed boost to the Claiborne stallion roster as *Sir Gallahad III was deceased and *Blenheim II was aged 24 when the “lovable rogue” arrived. The combination of *Nasrullah, a carefully-culled broodmare band, and retaining their progeny for racing, soon made Claiborne one of the nation’s top owners as well as a leading breeder. Died May 26, 1959. Buried at Claiborne Farm.